Celebrating mothers continues today with a free printable by Collected Blog to create a gift for all the wonderful mother-figures in your life! Print it off and give it to teachers, friends, sisters, and anyone who has played this role in your life! 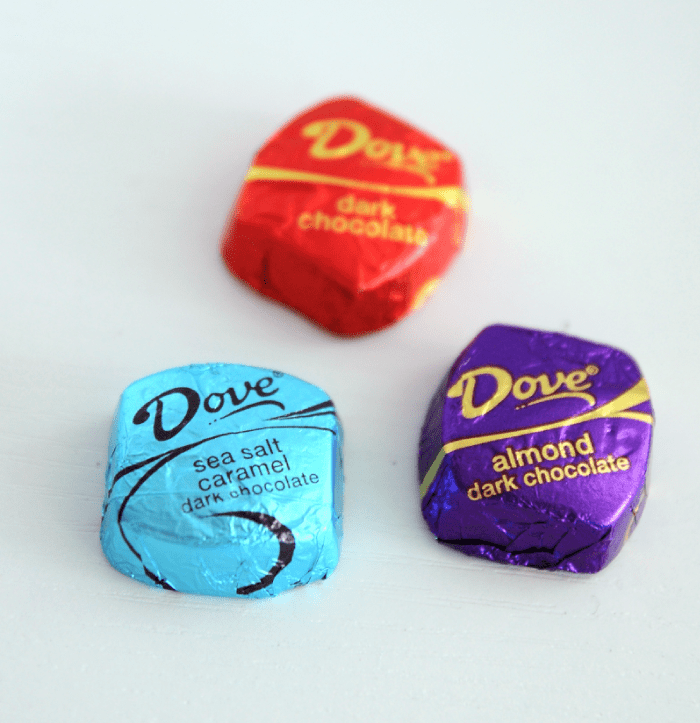 To help us make these printables come to life, Dove sent their favorite Dark Chocolates! Dark chocolate is such a great upgrade to regular milk chocolate, it’s filled with anti-oxidants and has several other health benefits, as if we needed a reason to enjoy! The printable (download below!) has four candy wrappers, “Happy Mother’s Day” “Have a Nap and Some Chocolate” in a couple sizes for the large and small Dove bars, and “I love you more than chocolate”, too! The printable is all sized and ready to go for Dove’s large and small bars, so all you need to do is send to your favorite printer, cut out and tape or glue on! Which we couldn’t help but try a few flavors, here are our favorites – Mint and Dark Chocolate Swirl not pictured, because they were all already eaten. Oops! We’ve said it before and we’ll say it again, good mothers deserve the world, but a Dove bar is an excellent place to start! 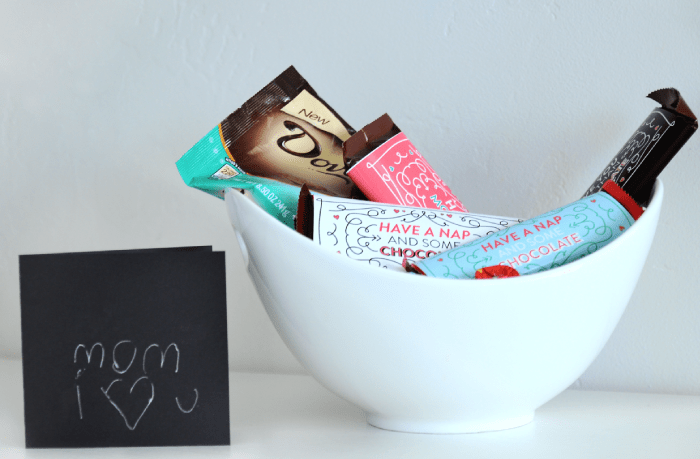 See how our fellow Dove-lovers styled their chocolate into Mother’s Day gifts via Dove’s Twitter and Facebook pages! 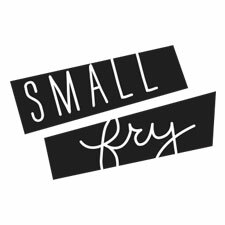 Printable design by Collected Blog for Small Fry. Pingback: Sweet Treats for Mother's Day - FREE Printables!